The airline says: "British Airways does recognise that uniformed employees may wish to wear jewellery including religious symbols. These items can be worn, underneath the uniform." Airline British Midland has the same uniform policy, which it says is based not on religion but on the kind of image the company wants to present. It is not the first time the cross has been subject to scrutiny in recent weeks. 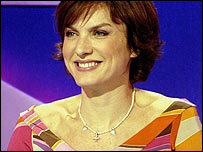 The BBC admitted it had a discussion about newsreader Fiona Bruce's cross necklace in the context of a wider debate about impartiality and religious dress, though it insists there is no ban. Meanwhile the row over Muslim veils is still rumbling on, as a support teacher in Yorkshire fights suspension for wearing a veil in lessons. While many Christians work happily for firms that do not allow crosses to be worn, some feel the action taken by British Airways is symptomatic of a backlash against the Christian faith, at a time of heightened sensitivity about religious apparel. Northern Ireland Secretary Peter Hain said British Airways were "loopy" and added: "I don't understand it. I don't think anybody understands it and that's my view." David Cannings, chairman of Christians in Politics, which encourages people in public office to make their faith part of their work, said religious imagery was becoming marginalised. "We think such ostentatious expressions of faith are starting to be pushed into the background in an attempt to treat people equally and I think there's a danger that faith will be pushed into the background at the same time." Religious commentator Clifford Longley interpreted the airline's rules as being based on the mistaken supposition that other faiths would be offended by the cross. He said: "There's something strange in the minds of liberal thought that assumes Muslims or Hindus would take offence at Christianity. Muslims regard Jesus as the second prophet to Muhammad and do not dislike the cross." Inayat Bunglawala of the Muslim Council of Britain said the crucifix was not in any way offensive, intimidating or offensive. "It is an expression of private religious belief and we do respect that in the same way that we respect the right of a Muslim women to wear the Niqab," he said. In the current climate Christians were "being persecuted", said devout Christian and MP, Ann Widdecombe. 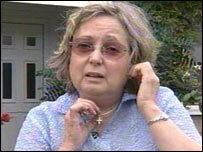 But Austen Ivereigh, a Catholic writer and journalist, said British Airways was being perfectly reasonable. "It's obviously not discrimination. If they allowed jewellery to be worn over clothes but not the crucifix then it could be argued it was discrimination. "This is all in the air since the veil row. It's one of those questions that pluralist societies have to wrestle with." Unlike in France where crucifixes cannot be displayed in schools, he said the UK had a more pragmatic approach which was being tested in the current climate. But wearing a cross or crucifix was not necessary to show your Christianity. "There are a lot of ways to demonstrate your faith. The true Christian witness is the love you show people that makes people wonder where you got that from, and you can tell them. 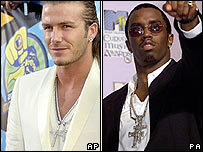 A crucifix has become a fashion item worn by rap artists."